OnRamp Founder Chad Kissinger will present "If Your Hospital Was a Bank, How Would it Protect Your Healthcare Data?" at the next 512 Health Intelligence and Data Analytics Meetup taking place Wednesday, March 25th at 5:30pm CT. In this talk Kissinger will compare various compliance frameworks to provide ideas for improving the privacy and security of critical healthcare data. ...with the evolving security threat climate, a lot can be learned from the Payment Card Industry (PCI) Data Security Standards (DSS) and other financial industry compliance guidelines when it comes to securing sensitive data of all types. 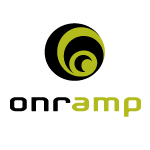 OnRamp, an industry leading high security and hybrid hosting solutions provider headquartered in Austin, Texas, announced today that company Founder Chad Kissinger has been selected as the featured speaker for the next 512 Health Intelligence and Data Analytics Meetup taking place Wednesday, March 25th at 5:30pm CT. The event, which will be held at the Waller Ballroom in Downtown Austin, will gather healthcare IT and data analytics professionals for Kissinger's presentation titled: "If Your Hospital Was a Bank, How Would it Protect Your Healthcare Data?" The 512 Health Intelligence and Data Analytics Meetup was formed by Andrew Johnson and Aaron Franklin, Co-Founders of Mimir Health Intelligence, in August of 2014 to create a forum for sharing ideas surrounding new and emerging trends in Health IT, Mobile Health and Data Analytics. The group's focus is on finding new ways to use actionable intelligence to advance the country's healthcare system. Kissinger, who has 20 years of leadership and development experience in the IT industry with a focus on HIPAA and PCI Compliant Hosting solutions, will provide a comparison between the healthcare industry's privacy and security guidelines, as outlined in HITECH, with the compliance requirements of the Financial and Payment Card Industries. "As more and more healthcare related businesses look to data centers to outsource their IT needs, there has been a greater emphasis on role these companies play in maintaining the confidentiality, availability and integrity of critical patient data," stated Kissinger. "However, with the evolving security threat climate, a lot can be learned from the Payment Card Industry (PCI) Data Security Standards (DSS) and other financial industry compliance guidelines when it comes to securing sensitive data of all types." In his talk, Kissinger will draw upon these various frameworks to provide ideas for improving the protection of electronic protected healthcare information that can be applied to businesses maintaining in-house IT environments or for those outsourcing this function to third-party data center providers.